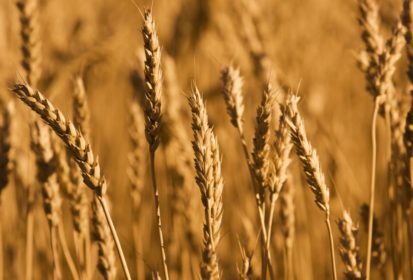 Chicago | Reuters — U.S. wheat futures sailed to their highest prices in more than a month on Friday on technical buying and expectations for increased U.S. exports as poor crop weather hurts harvests in other countries. Corn and soybean futures each advanced for the fifth straight day. Traders focused on dry weather reducing harvest prospects in Europe and the Black Sea region, which is set to tighten global supplies of wheat. Consultancy Agritel forecast the French soft wheat crop, excluding durum, at 34.2 million tonnes, more than six per cent below last year’s crop. Countries like Germany and Ukraine are also expected to suffer losses from drought. “You take major exporters of the world all having production issues at the same time, and it sets up well for our potential exports,” said Ted Seifried, chief agriculture market strategist for broker Zaner Group in Chicago. The Chicago Board of Trade’s most active wheat contract traded to its highest price since June 13 before ending up 2.3 percent at $5.16 a bushel (all figures US$). It gained 3.8 per cent on the week. In Paris, European wheat futures set a one-year high as the worsening harvest outlook encouraged buying and pushed futures through chart resistance. “A lot of this is technical but there’s positive fundamental reasoning and rationale behind it,” Seifried said about the U.S. rally. CBOT corn futures extended a recovery from recent contract lows. Soybeans have rebounded after touching a 10-year low on Monday on concerns over the U.S.-China trade row. Soybeans are the most valuable U.S. agricultural export to China, worth more than $12 billion last year, and face an extra duty from Beijing in retaliation for an initial round of U.S. tariffs. The U.S. and China have slapped tariffs on $34 billion of each other’s imports and U.S. President Donald Trump on Friday said he was ready to slap tariffs on all $500 billion of imported Chinese goods. CBOT corn sailed 1.1 per cent higher to $3.69 a bushel and touched its highest price since July 9. The contract ended up four per cent on the week. Soybeans rose 0.3 per cent to $8.64-3/4, closing up 3.7 per cent on the week. — Tom Polansek reports on agriculture and commodities for Reuters from Chicago; additional reporting by Gus Trompiz in Paris and Naveen Thukral in Singapore.